Dual Wi-Fi external band with high gain performance lets you stream movies and games without interference. 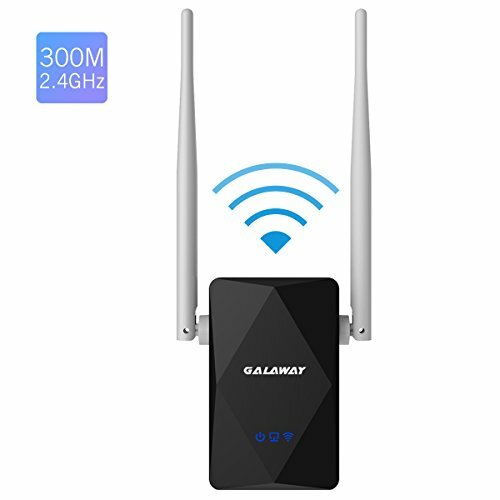 And you can use any mobile device to access, which guides you through the setup process to ensure you've positioned the extender in the optimal position between your router and the area where you need better coverage.Experience faster, stronger Wi-Fi with the pluggable US402 Dual external antena Wi-Fi Range Extender. Enjoy HD streaming and online gaming with Wi-Fi . 5. Designed with mobility and portability, the extender is small in size yet huge in functionality,repeats signals from an existing WiFi hotspot to cover a farther range. If you have any questions about this product by GALAWAY, contact us by completing and submitting the form below. If you are looking for a specif part number, please include it with your message.